However, as long as the market place has 30% cash buyers and these low rates it can move forward even though the pace of activity could slow down. The 30% cash buyer metric is important because if that falls, that means the traditional or first time home buyer has to step in. I don’t believe that would be a successful hand off, especially when rates rise. On another note a big problem in the housing market today is the inventory crisis. A lack of home building, over 10 million homeowners underwater or not having enough equity to sell, and 4.5 million plus homes in some stage of delinquency or foreclosure process has made inventory levels drop to barely over a 5 month supply. In conversations with a few potential buyers who are thinking of putting their home in the market all have expressed one similar theme to me. They might not be able to buy something they want. Light inventory and multiple bids here in Orange County CA has made some potential home buyers gun shy. Some who are forced by their own financials to do a FHA loan feel like their bid would not stand a chance in this type of market bubble fever. As I continue to note, these factors are all part of a market place that has been propped up by cheap money, and held back from a proper price correction and an influx of cash (and likely investor) buyers. 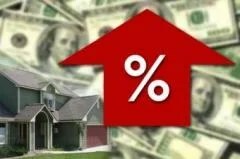 However, as long as rates are near these historical low levels, the market has 30% cash buyers and inventory is low, sales will continue to grow and prices will rise. It may be that Housing Emperor does indeed have clothes, but the clothing is from Target not Saks . In other words, don’t get too excited. Posted in Uncategorized and tagged 4%, Debt-to-income, Home Sales, Housing Bubble, refinance market ending, Refinances, Rising Mortgage Rates. Bookmark the permalink. I think you’re right. Very little of this recent burst of RE enthusiasm makes much sense to me. Properties locally were languishing on the market for a LONG….. time and then one day a short while ago, bang, everybody wanted to buy and no bids became multiple bids.